Flixster, probably my favorite movie listing app on Android, received an update this morning that gives it the new slideout navigation drawer that has become an Android design guideline standard over the last month or so. The app used to employ a paneled or tabbed UI, but with the navigation drawer, you no longer have a row of tabs taking up precious screen real estate. 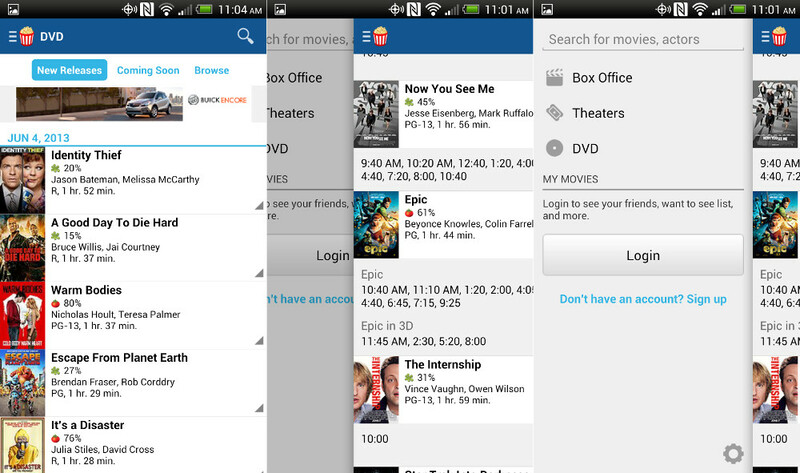 A simple swipe from the left side of the app gives you options for Box Office, Theaters, and DVD. You can also login to your account this way. The update is technically live, but Flixster appears to joined the staged rollout of updates party that Google has hosted since I/O, so there is no telling when everyone will have access to it.